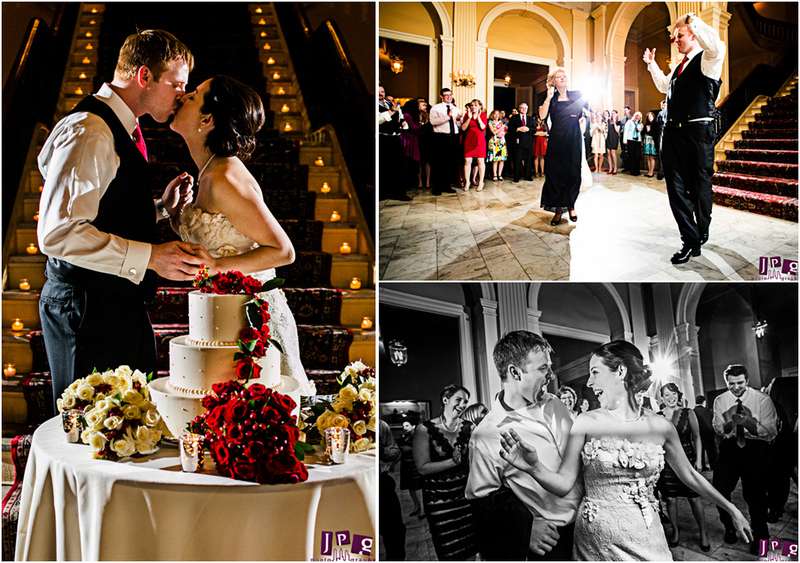 At JPG, we shoot weddings that fall anywhere on the spectrum from low-key to wild, simple to elaborate. 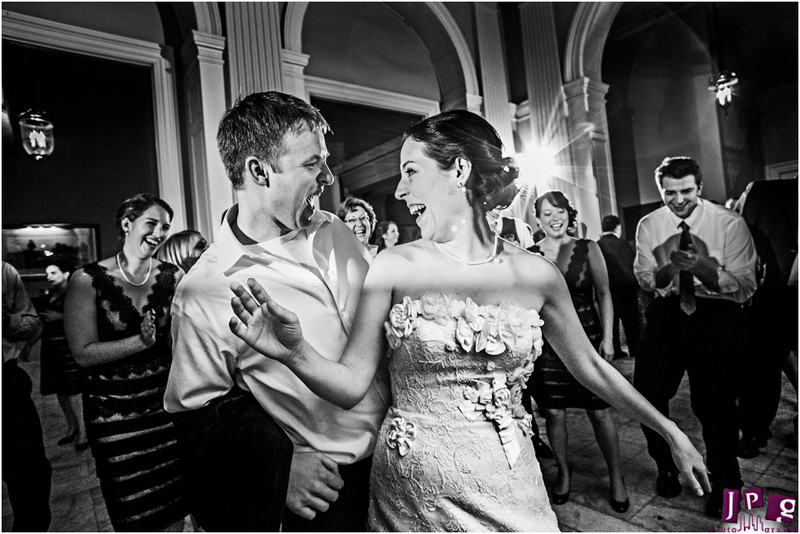 But it’s a rare combination for a wedding to both elegant and freely joyful. 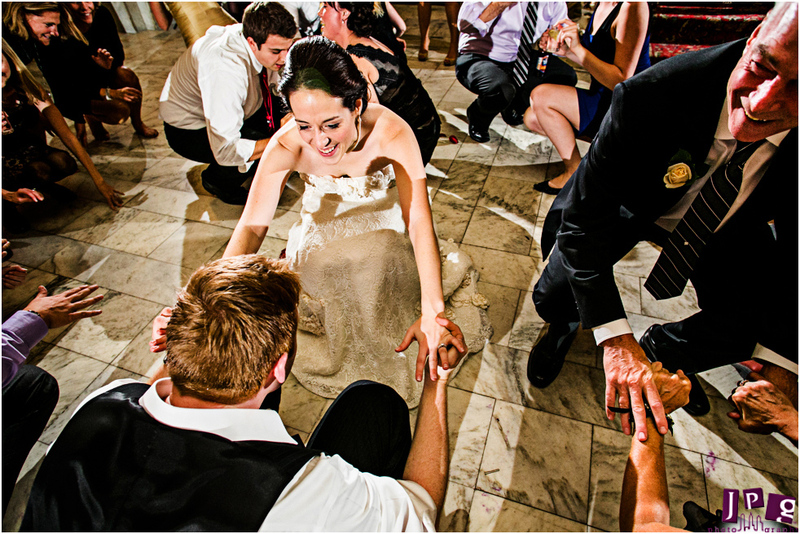 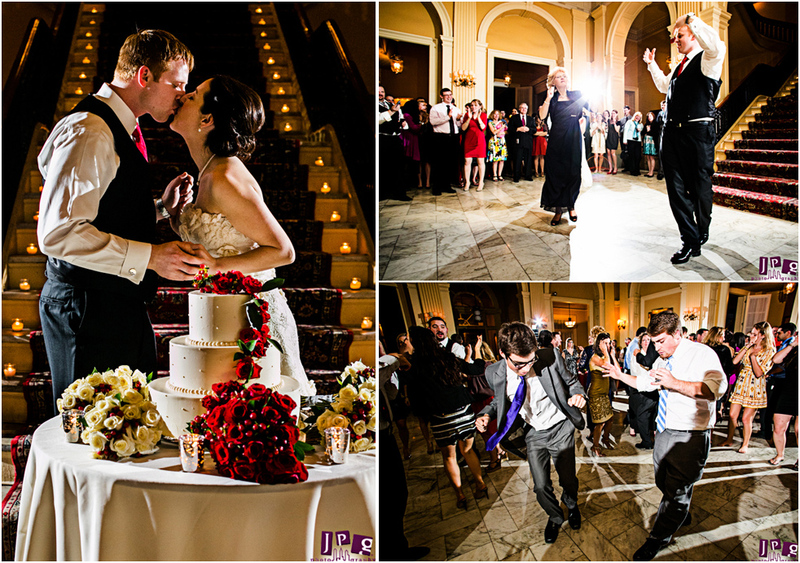 Erin and Matt’s wedding at St. Patrick’s RCC and The Racquet Club of Philadelphia was just that. 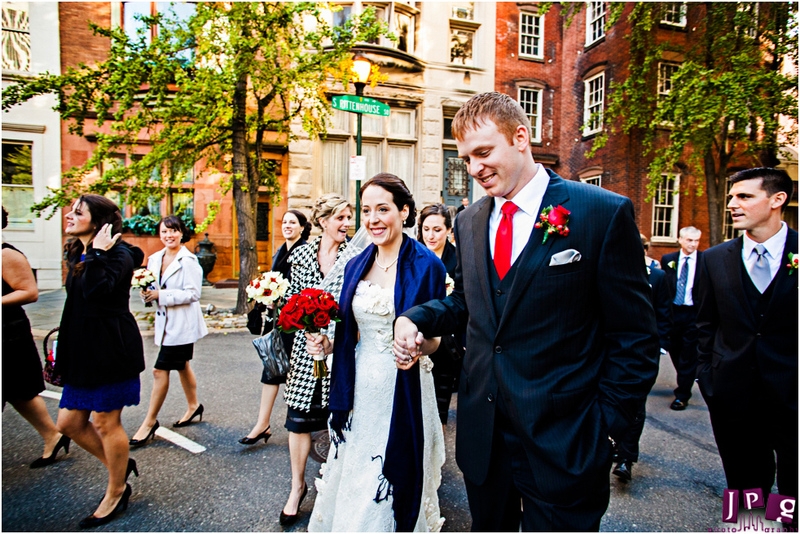 After Erin got ready at the Philly Racquet Club and Matt at home, the two relied on the good company of their friends to keep them calm before their ceremony at St. Patrick’s Church. 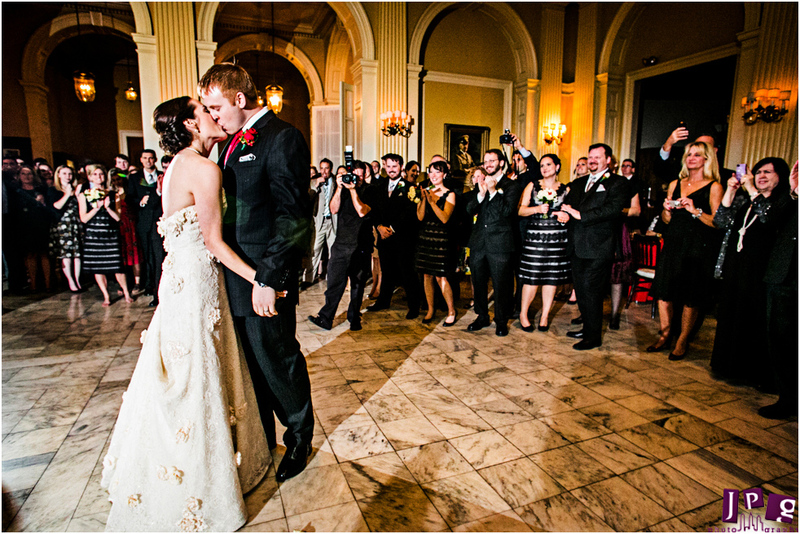 The church features phenomenal architecture and detail, and Erin and Matt were feeling some jitters before they entered the gorgeous sanctuary. 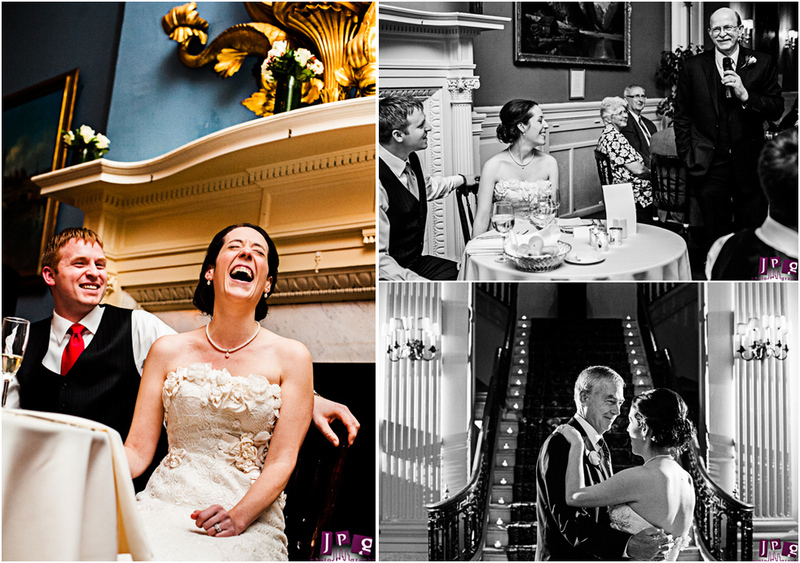 We loved shooting those moments of nervous excitement! 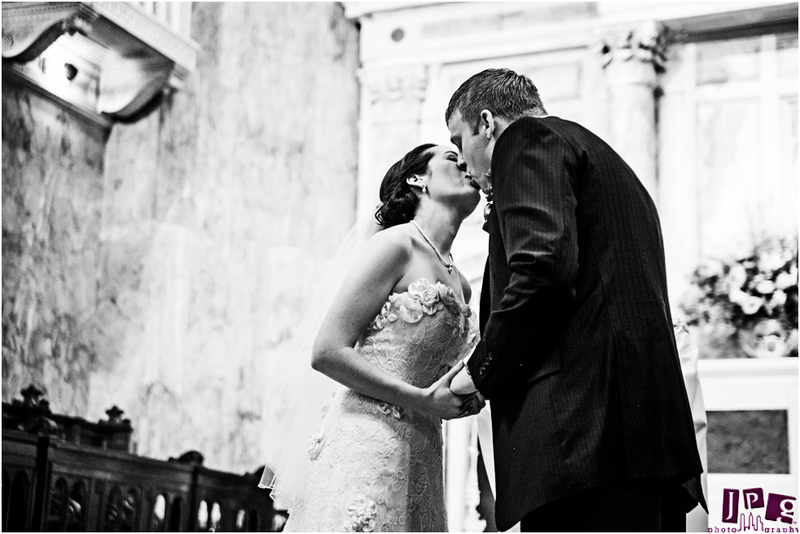 Right after the ceremony, we captured the couple in a special, quiet moment of reflection in the stairwell of the church before heading to Rittenhouse Square for some gorgeous sunlit portraits. 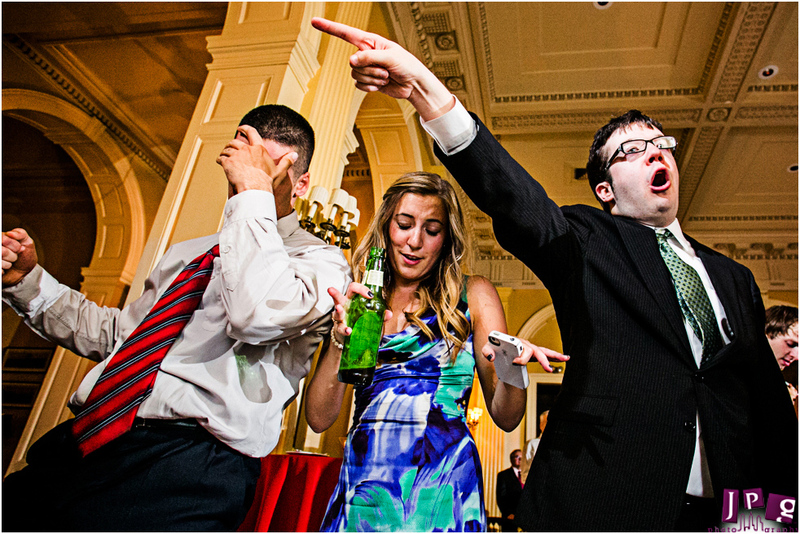 Later, at the reception, Matt’s homebrew wedding favors served the guests well during the rambunctious all-ages dancing in front of The Racquet Club’s candlelit grand stairway! 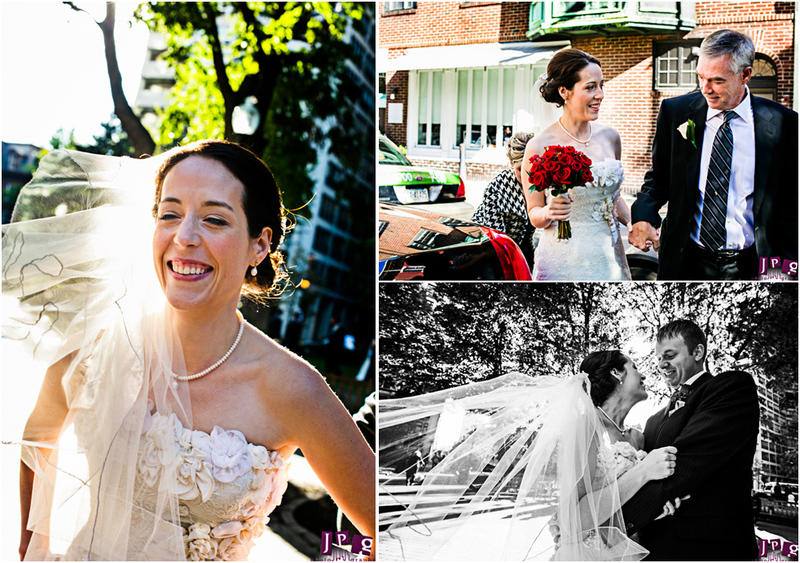 Erin and Matt, thanks for choosing JPG. 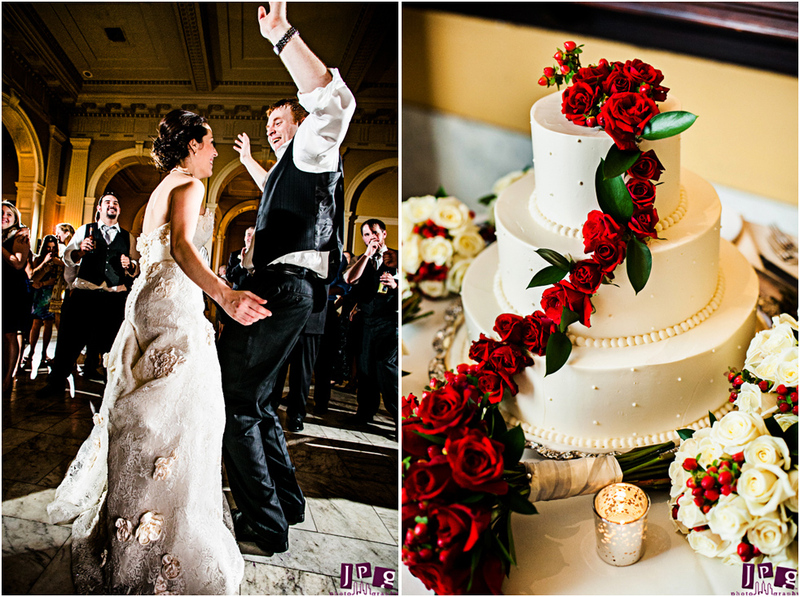 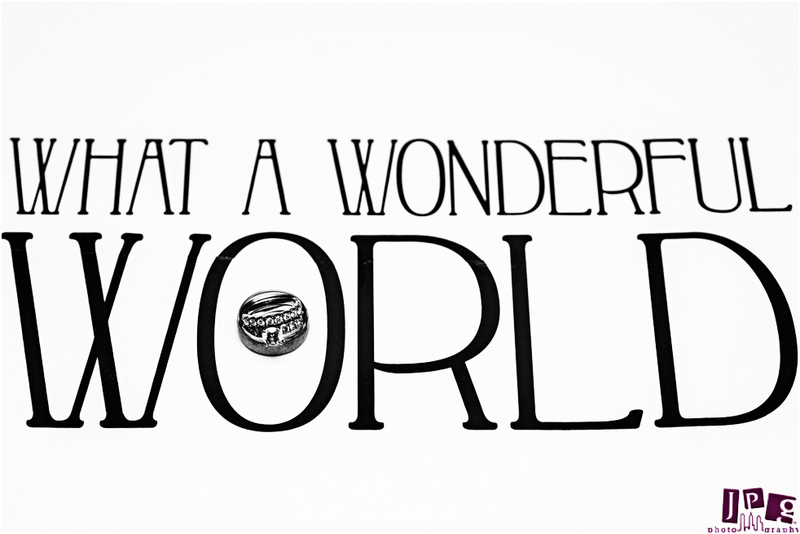 We hope your lives together are filled with as many sweet moments and as much emphatic bliss as your wedding day!